YOGA NIDRA is an effortless lying down meditation which takes you to a space of conscious sleep. 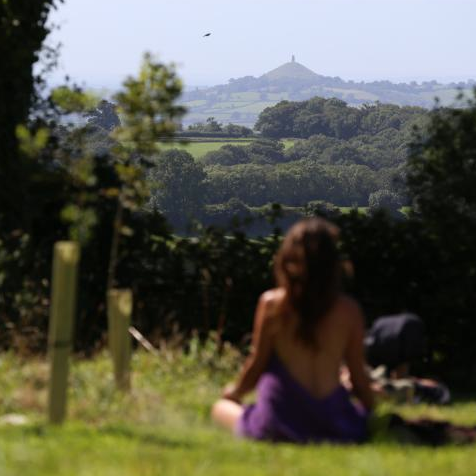 In the practice of YOGA NIDRA we allow our physical bodies to surrender in relaxation, whilst our other levels of being are thoroughly nourished: the mind chatter is calmed, the emotions are balanced, and one’s level of vitality energised. 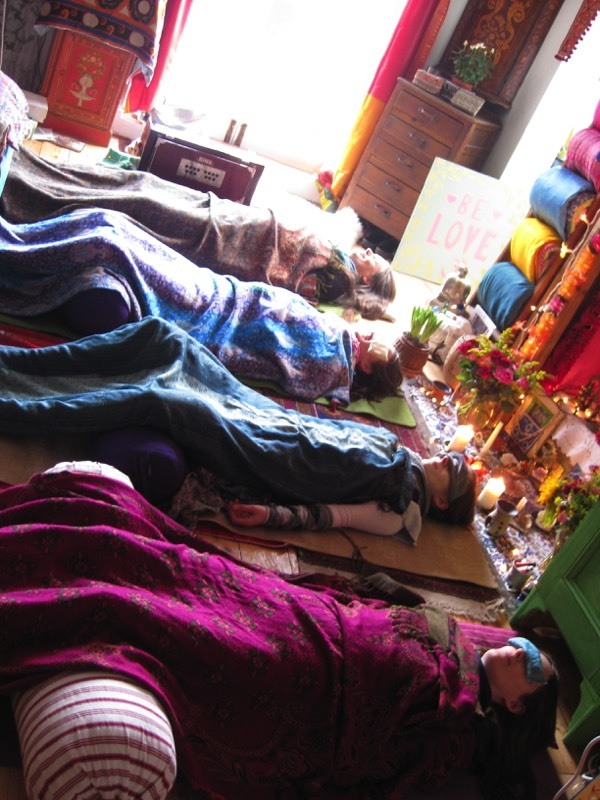 Regularly practiced, YOGA NIDRA is a space of profound union with creation, where internal difficulties and questions are resolved naturally, and spontaneous creative insights can occur. It is a joyful practice of homecoming that leaves one feeling revived, and ready to face the tasks of the life with an open mind, and heart. “I made pilgrimages, looking for God. YOGA NIDRA translates from the sanskrit as “Yogi Sleep”, this is a little bit of a philosophical joke as the sleep of the yogi is to be truly awake. YOGA NIDRA is an effortless state of being. In epic Indian Vedic literature it talks of YOGA NIDRA as the state that Narayana is in when a flower grows from his navel in which is Brahma who then creates the universe… so it can be said that the universe arises from the state of YOGA NIDRA. Kashmir Shaivite texts (circa 950CE) equate YOGA NIDRA with Turiya (Shiva Sutra 1.7) ~ the fourth state of consciousness, neither waking, sleeping or dreaming, but something beyond all three. 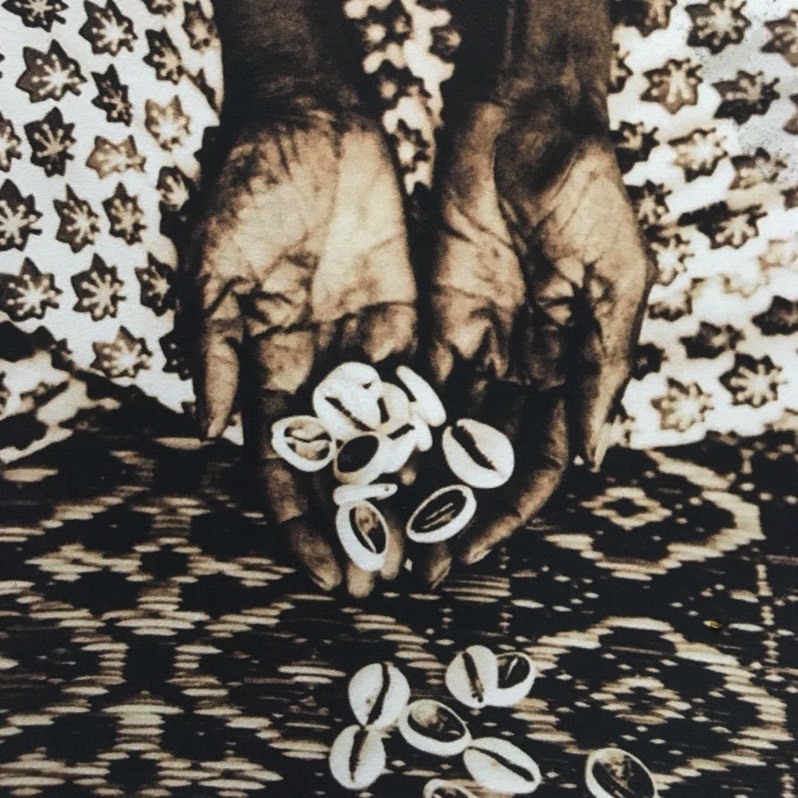 As a practice YOGA NIDRA is predominately taught through an arch of techniques which includes: settling, setting a sankalpa, rotation of consciousness, pairs of opposites, breath awareness, visualisations, sankalpa, externalisation and close ~ or most of them. YOGA NIDRA is predominately practiced lying down, but it can be done seated or in any other position. 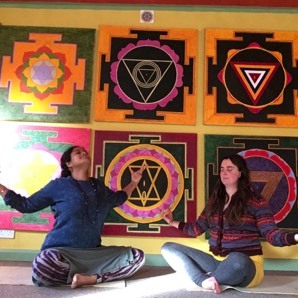 Sivani Mata trained in Total YOGA NIDRA with Uma Dinsmore-Tuli and Nirlipta Tuli. 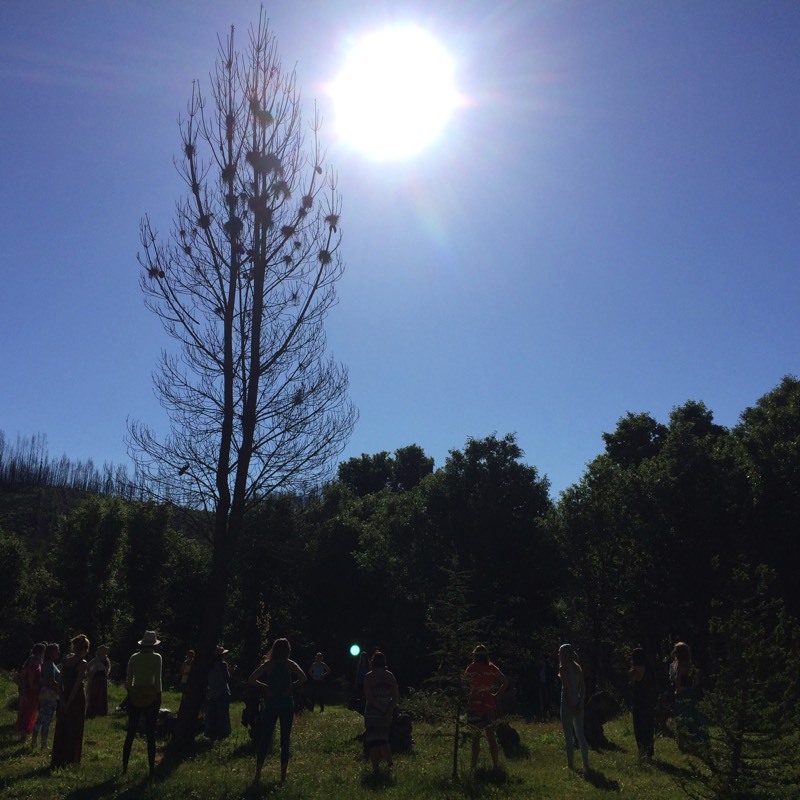 This training is unique in it's comparative approach to the practice, honouring different lineages as well as the history and evolution of nidra. The incredible Uma Dinsmore-Tuli (co-founder of the Yoga Nidra Network) talks about why lying down and resting is a revolutionary act. 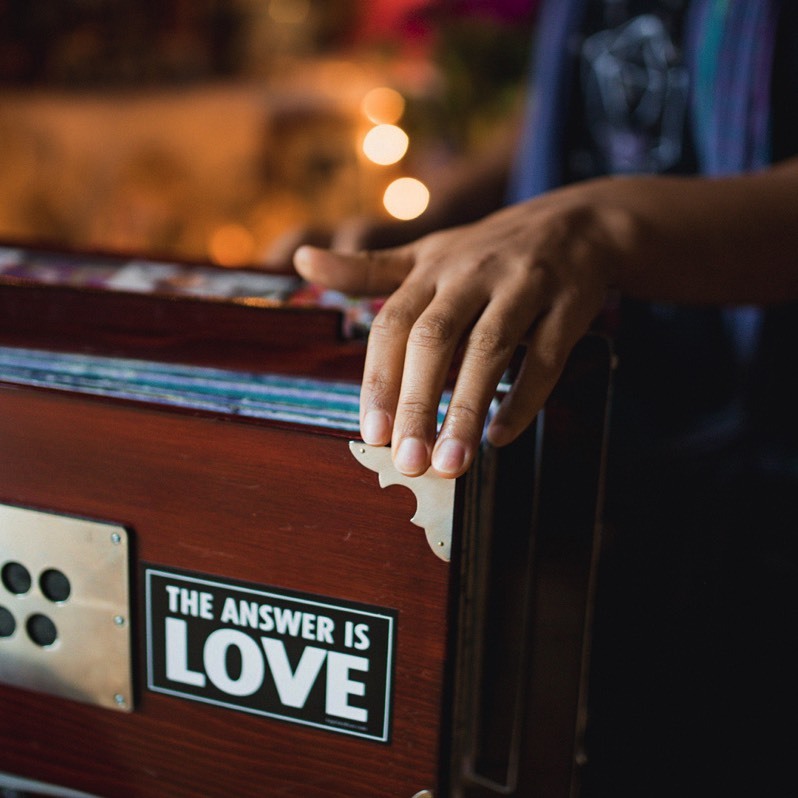 The YOGA NIDRA NETWORK offers FREE YOGA NIDRA mp3s (mainly recorded live) to stream or download from there community of teachers. 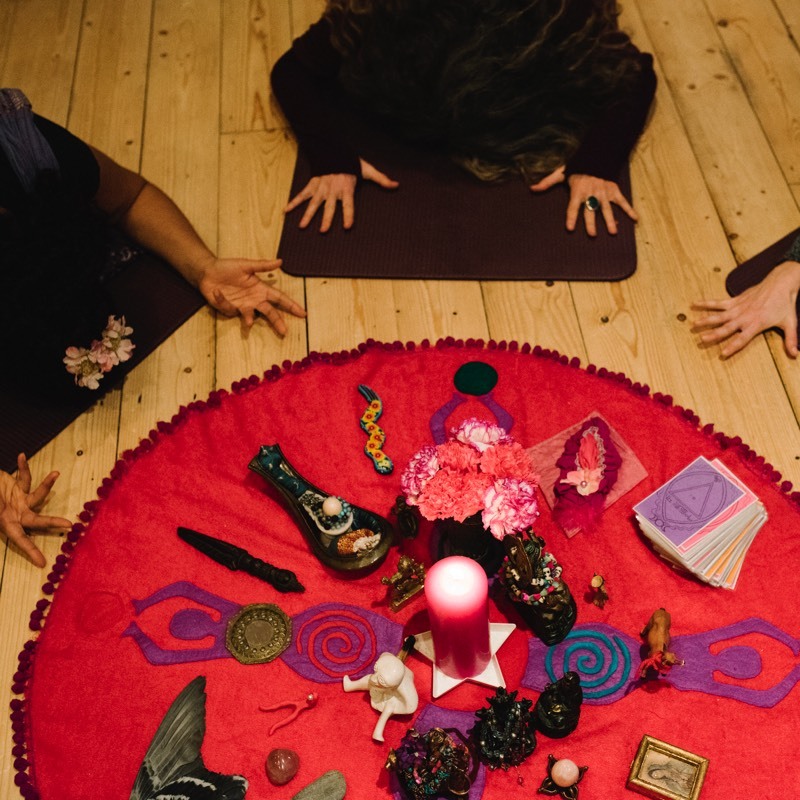 This 23min Yoga Nidra was recorded live at our Women's Yoga weekly class at The Life Centre, Islington, London on Samhain (Halloween) 31 October 2017. It is inspired by the energy of the Goddess Kali. The name Kali coming from the root sanskrit word Kal meaning time, this Nidra is about coming home to the present moment, the now. 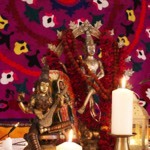 The rotation honours the deep feminine in every part of the body, and there is the welcoming of the void (a space which Kali's sky-clad dark form can be said to represent) and seeing what arises. The poem "Be in the NOW" in the middle of the Nidra is adapted from a song of Adrian Freedman "Be in the Light". 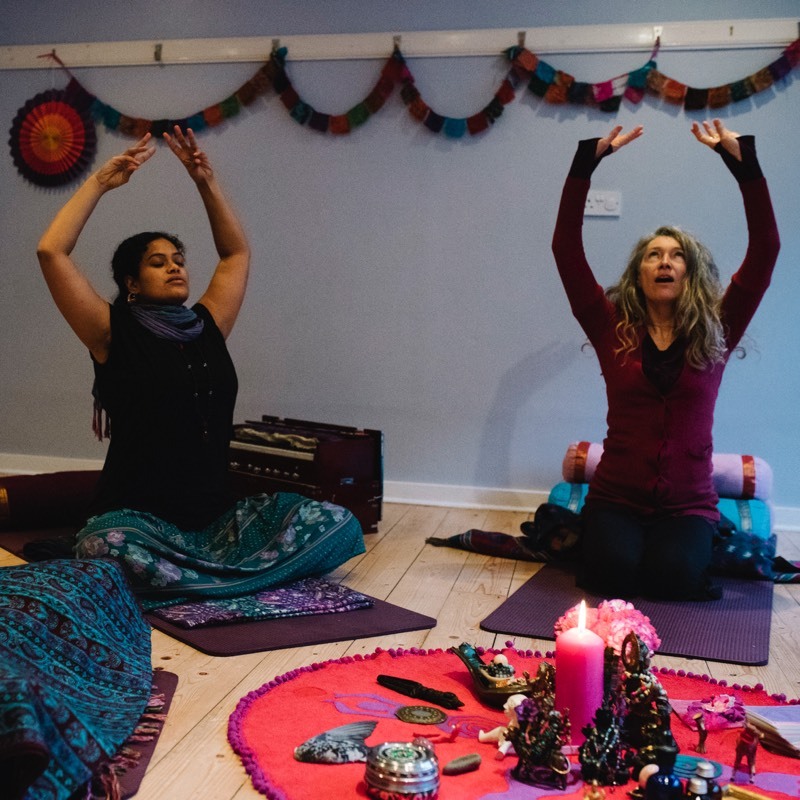 This 19min Yoga Nidra was recorded live at our Women's Yoga weekly class at The Life Centre, Islington, London, April 2017 during the festival of Navaratri (the 9 night celebration of the divine feminine). This 28min Yoga Nidra was recorded live at our regular Women's Yoga Circle in London, January 2017. It offers a rotation of kisses from the inner beloved. This 25min Yoga Nidra was recorded live at our regular Women's Yoga Circle in London, Sept 2016. It offers a rotation with the sound of the kantele harp in the background. 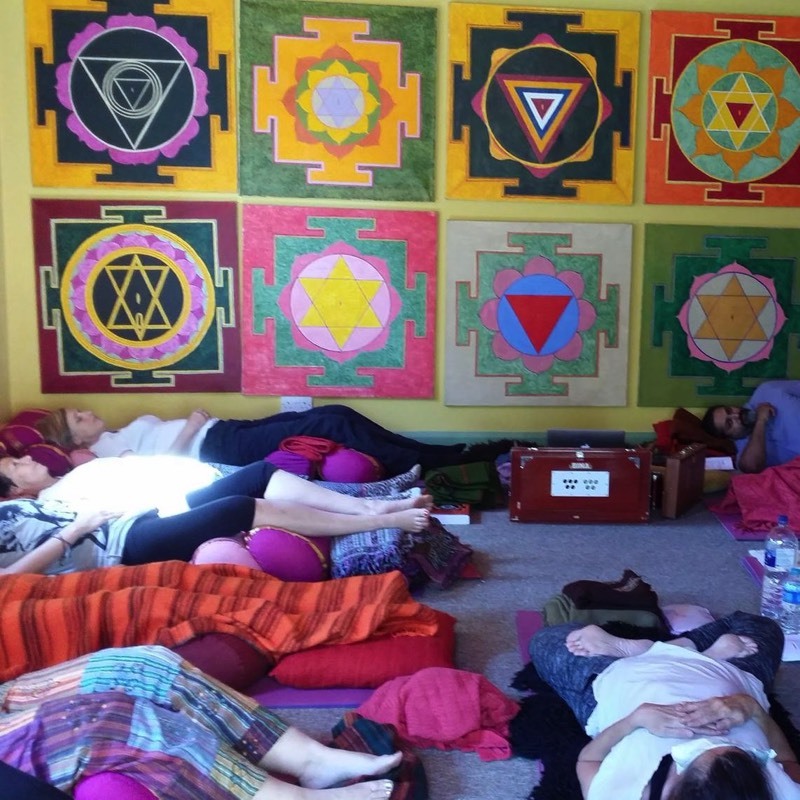 This 22min Yoga Nidra was recorded live at our regular Women's Yoga Circle in London, Aug 2016. It offers a rotation as a smile of love and acceptance for every part of our being. 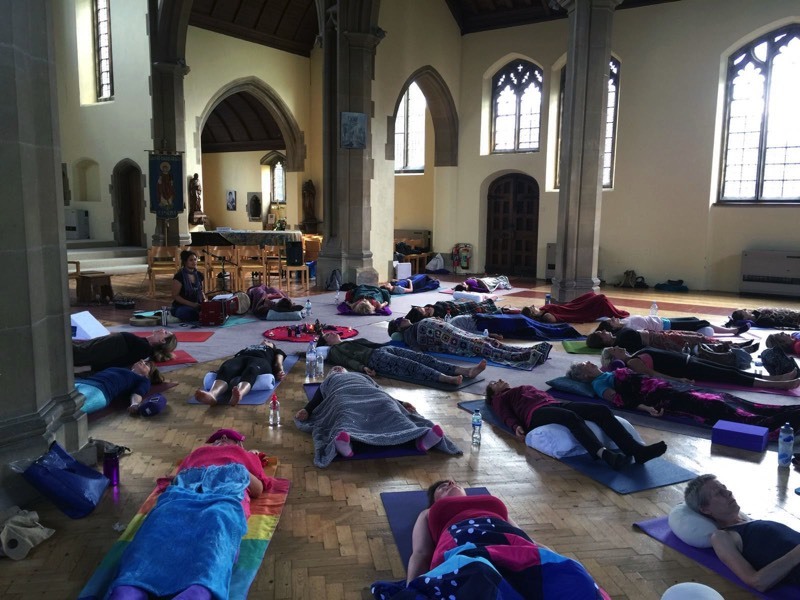 This 26min Yoga Nidra was recorded live with an amazing group of women at the beautiful Being Woman retreat day in a lovely church in Epsom, July 2016. 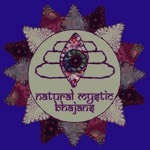 It offers a mantra rotation to honour the feminine essence through the sound MA. 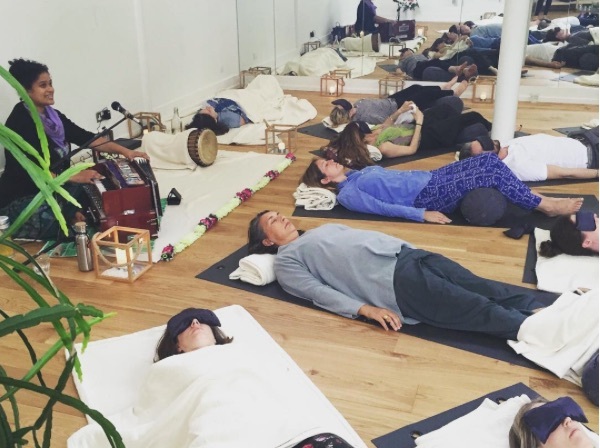 This 27min Yoga Nidra was recorded live at Bhuti Yoga and Well-Being space in Richmond, London, July 2016. The theme is to be WELCOME. 24min Yoga Nidra using nyasa, the placement of mantra (OM NAMAH SHIVAYA) around the body in the rotation, and honouring the Light of Consciousness within. 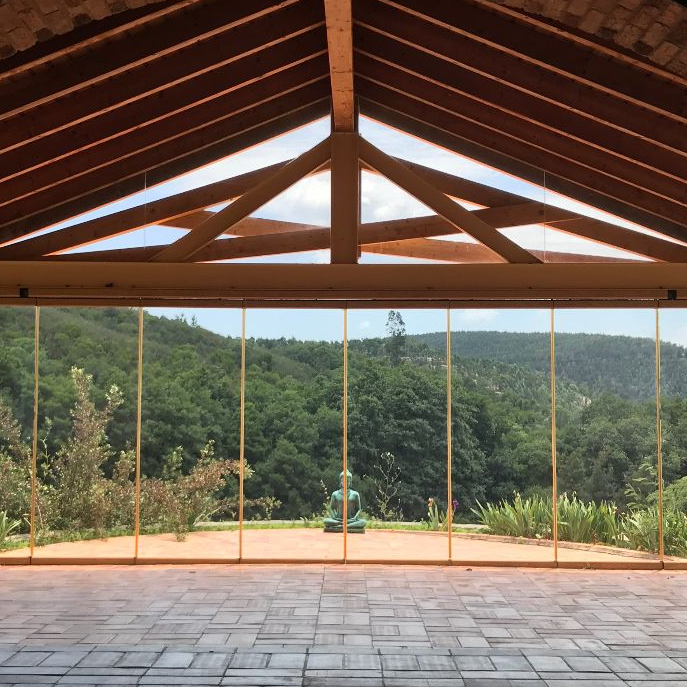 Recorded at the Kagyu Samye Dzong Tibetan Buddhist Centre on the first weekend of the Total Yoga Nidra Teacher Training October 2014.